Affiliate Details for sharing My Forward Steps & Time For My Life. Today I have something very special! A website page built FREE for you. NOTE: I have recently changed details at this page. You can share your link at Twitter, Facebook, your email list, blogs, anywhere at all as long as you do not ever spam. You only need send me a couple of bits of really simple information & I do all the work for you! 🙂 You will not need to know anything about websites & how to set them up. I’ll host it for you and then send you the link. I’ll make a personal video to host at your YouTube Channel (on mine, if you don’t have one). ALL the links on your site and within each individual PDF will be YOUR affiliate links. Here are a couple of example sites that I made for a few friends already…. There is no obligation on your part for when or how often, you share your gift site or with how many people you share it. Your site’s visitors will continue to share it for you by collecting their gifts. There is a Share To Get button at each page. When shared, your links follow with the page and go wherever it is shared. To see why you might want one of these sites, go to my list of Benefits And Ideas. 1. 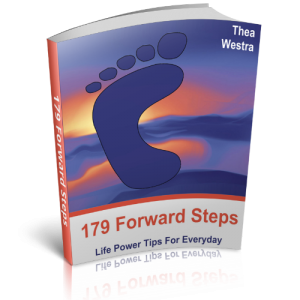 Your My Forward Steps Member Number You MUST be a PAID member at My Forward Steps for at least 6 months. 2. Your Clickbank ID/Nickname (for the Time For My Life book) Yes, you MUST be a member of Clickbank and Paypal. 3. Your main website URL You MUST have your own website with a Google page rank of at least 3. 4. Add your details to Affiliate Email List You MUST need to have been on that list at least 6 months also. 5. Tell me the number of subscribers on your email list. You need a list of 10,000+ people whom you email regularly. 6. Send me your own free gift to add to your page, as I did for Christopher Westra’s, Cindy Cullen’s, Tamara Baruhovich’s Nick Pfennigwerth’s & Chris Cade’s affiliate pages (see links above). I ask for ALL the above because it takes me a day or two to create such a page, plus I’m hosting for you free, which costs me. I also need to be careful where a page hosted by me gets shared, for my own online security, reputation and credibility. Thank you for understanding. NOTE: To by-pass needing a page rank of 3+, an email list of 10,000+, being a paid My Forward Steps member and being on the affiliate email list 6 months – send me evidence of 10 sales of any product of mine, I will build you a free gift page (as above). 2. You can get your Clickbank affiliate ID/Nickname at Clickbank. Create a free Clickbank account at that place and get your nickname (ID). You would use the ID/Nickname in a link like this http://awesomeaff.mylifetime.hop.clickbank.net for the Time For My Life book (in that example link, awesomeaff is someone’s Clickbank ID). There are some handy videos further down this page. Ask me to make you one of these affiliate gift pages. Click Here – use this easy contact form. You can put the video up at your own YouTube, give it the title you’d like & also add your gift page’s link, in the notes underneath. I will place YOUR embedded YouTube video on your gift page, so visitors go to your YouTube account. I’ll use forwardsteps.info/mydropbox to send the movie file to you, so you will need to open a free account with them. The people you send it to can download gifts immediately, without needing to leave a name and email. You can send it to your friends, website visitors, blog readers or subscribers. It makes a terrific thank you gift. All the five ebook gifts will also have all your affiliate links branded inside each book, so you can gift each independently if you’d like. Each of your five branded books can be posted up at sites like Slideshare as individual items. When you get one of these sites from me, you will be upgraded to a higher percentage of 75% for both the book and for My Forward Steps. When your friends share the site, your affiliate links follow automatically, wherever they share the site or any of the books. Host the video at YouTube and have the link to your page, underneath. I’ll use your embedding code for the YouTube video at the site. Anybody with whom your friends share the page, who then share the page too, are also ‘tagged’ with your affiliate ID. Whether you’re a Member or not, you always retain access to your affiliate link and affiliate revenues. For the MFS affiliate link, all subsequent purchases via my DAP account result in commissions for you, including new products I create. A limited number of these personalized pages will be made, so your gift is unique and not something visitors are seeing everywhere. If you have your own free gift, I will also add it to the page so that it also ‘travels along’, wherever the page is forwarded. If someone joins My Forward Steps with your link, you receive monthly recurring commissions for the life of the subscriber. The very best part is that, for you, the whole thing only gets as difficult as sharing your free, non-optin, inspirational viral gifts website! I do all the other work, I’ll build your page, host it for you and send you the link to your personal site.